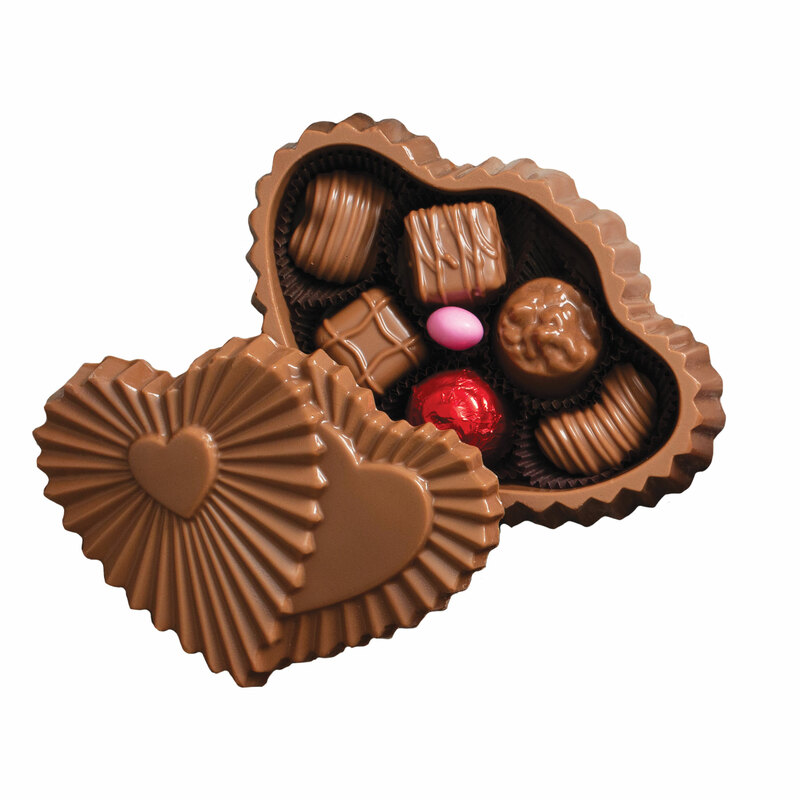 Our new Twin Ruffle Chocolate Heart will win them over in double time. Your choice of Foiled Milk Chocolate Hearts or a Chocolate Assortment fill a Twin Milk Chocolate Heart Box that will satisfy their sweet tooth while you win their affection. Packaged in a clear cello bag and tied with a ribbon for that special Valentine's Day gift.